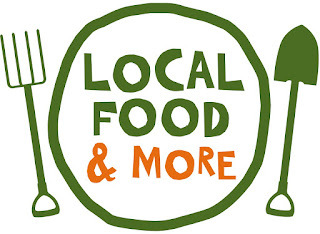 Buy Local Product - Its wise in many ways - Something New Everyday! Next time you hit the grocery store, shop around for the best buys that support your own local environment. Check labels and signs of the produce you purchase and make an effort to buy locally grown products. Buying locally means less energy expended to bring food to your table, cutting down on everything from air pollution to the burning of fossil fuels from trucking in cargo. Buying locally also means fresher fruits and vegetables that are healthier for your body and tastier to your taste buds. Fruits and veggies shipped from abroad are usually harvested at least two full weeks before they are ripe so that they don't go rotten during their long voyages on planes and in crates before arriving to your grocer. By buying from people in your area you're also supporting the local economy and helping to make your home part of a more sustainable community. If products aren't labeled at your grocery store, talk to the management and let them know you would like to know whether the tomatoes your buying were genetically engineered at some factory or whether they were grown under the same bright skies you wake up to in the morning. By buying locally, not only are you bound for a fresher taste but also for a healthier conscience by making simple decisions that go a long way in protecting all of our environments.